Woke up at 1130. Went to big Tescos in Congleton to get the shopping for Sunday dinner. Via Bosley Cloud. Very windy and gusty. 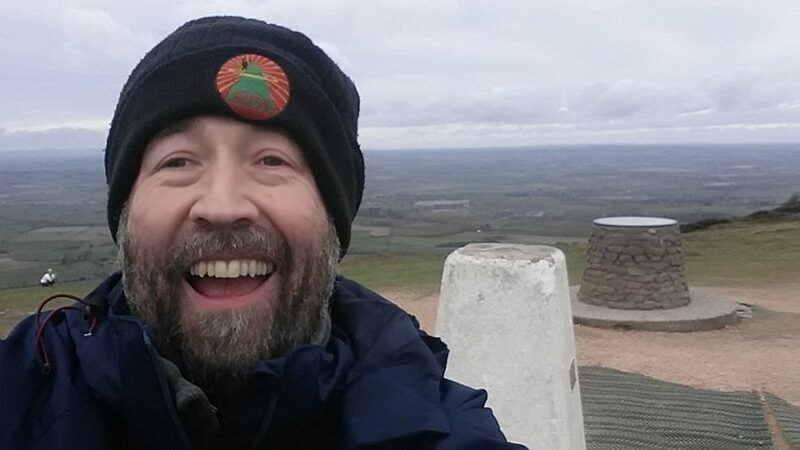 It was hard to stand up on the summit never mind write logs in the notebook. 2m FM HT - 4 QSOs. Thank you to the station that reported the wind noise to me. M0HGY and I will now be on cooking duties do that dinner is on the table when the Station Manager gets in from work. The opening still frame is enough for now Andy… better not say anything more or I might get ADD’D! 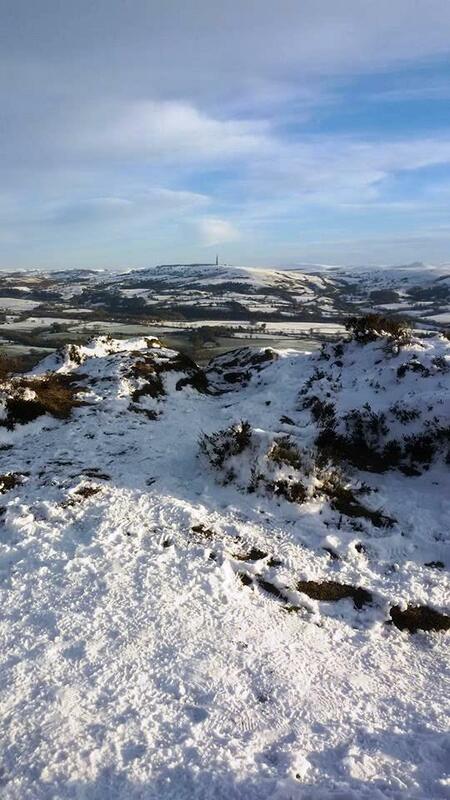 Still a winter wonderland on our local hills in Cheshire. No snow has fallen the past few days, but temperatures have remained mostly subzero to keep the white stuff on the ground. On the popular paths though, it is getting very compacted, icy and slippery - so bring on that thaw in the next few days! It was the 70cm AFS event on the Sunday morning and my contest group (Tall Trees) was asking for participants in order to have at least one full team of four operators. I had a busy Sunday ahead - including the teatime gig above - and also didn’t fancy sitting out in the snow and subzero temperatures for four hours, knowing that three of them would be mind-numbingly slow! So I figured I’d just go out and do the first hour - I’d get at least 50% of all the contacts I was ever going to make then anyway! My hands got very cold very quickly when I took my gloves off for setting up, but then warmed up during the setting up process. 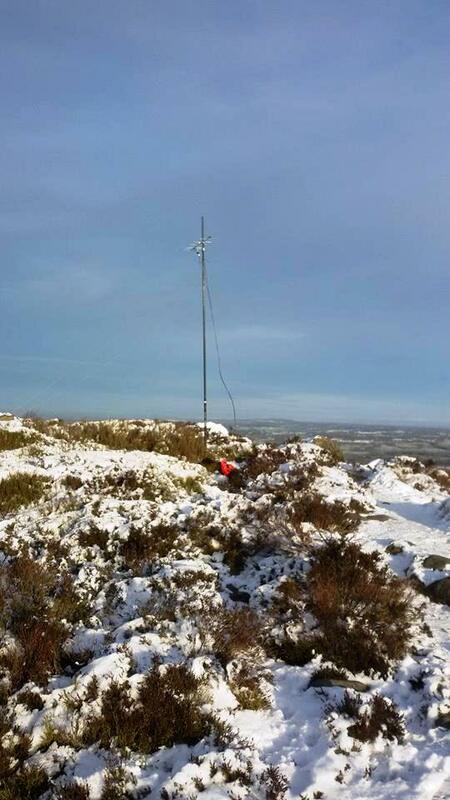 Then they got cold again when resetting the mast which had collapsed, and wouldn’t warm up again. So back on with the gloves, which were on and off frequently for the next hour! 23 QSOs were made, all on 70cm SSB. Squares worked were IO74, IO81, 82, 83, 91, 92, 93 and JO02. So a very modest contribution, but sufficient to keep the contest manager (Reg G3TDH) happy. The descent was tricky in places, which the path down The Cloud resembling (and behaving like) a cresta run. I think the cold got to my brain as well. I was focused on safely negotiating a nasty patch of black ice on the hill down to the A54 (Congleton to Buxton) road. I then heard a strange noise from the roof of my car. 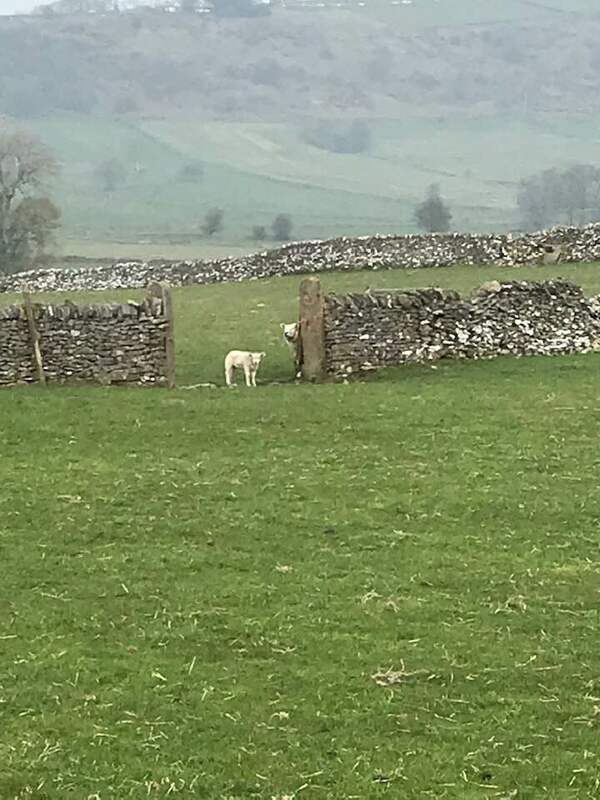 I stopped and got out to inspect. 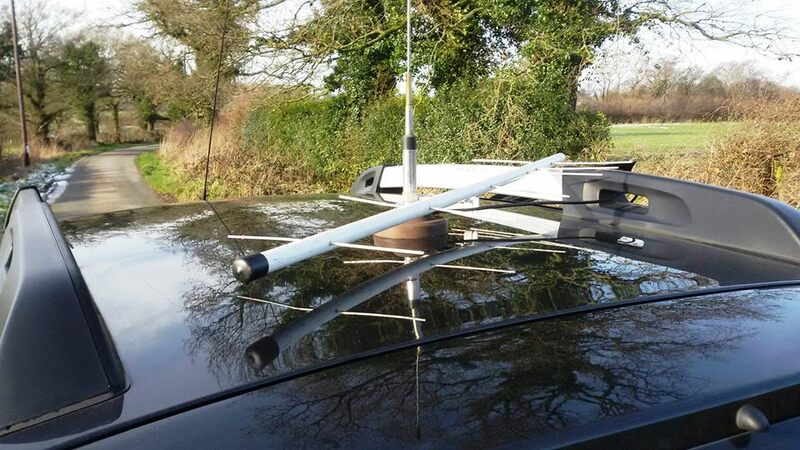 And there was my SB270 antenna, set as a 6-element beam for 70cm, loose on the roof of my car. Quite remarkable that I had driven a mile from the parking spot and it was still there. I took a photo of it, as one does in this Facebook-obsessed age and got back into my car to resume the drive home. I heard the same noise again. I stopped again, got out of the car, took the antenna off the roof and actually put it away this time! Yes, previously, having taken the photo, I actually hadn’t bothered to then put the antenna in the car! What a spoon. It’s not really one of my gigs tonight, but my good friend and superb fingerstyle guitarist Stu Clark has invited Liam and I to perform a guest spot in his show later. That should be good fun, but first we’re off out for a Chinese Sunday lunch. Yum. Rutland is hardly SOTA country, though the venue was indeed on top of a hill. 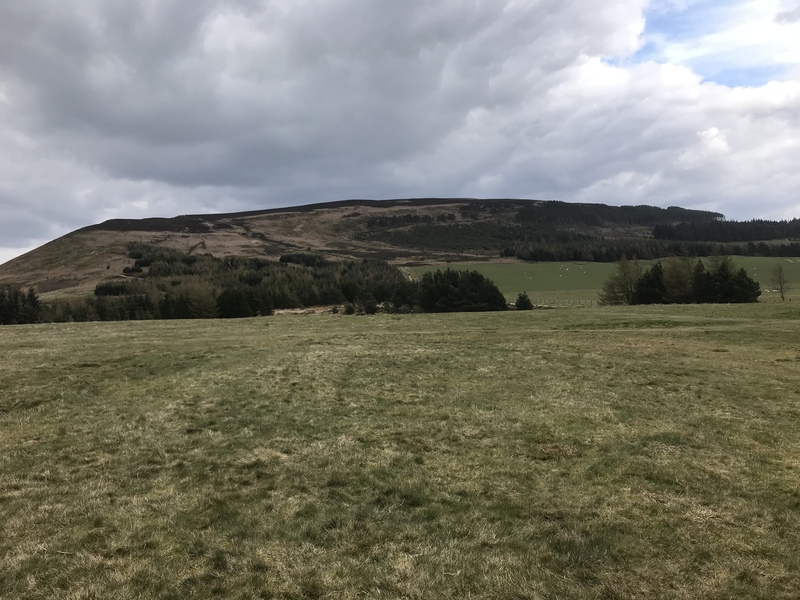 A little hill, but in these parts, probably a fantastic potential VHF contest location! The choice for SOTA en route was obvious. Not much to report. A bad traffic jam early in the journey gobbled up most of my slack time, so by the time I was parking up on Dauphine Close, Coalville, I’d resigned myself to 2m handheld only. 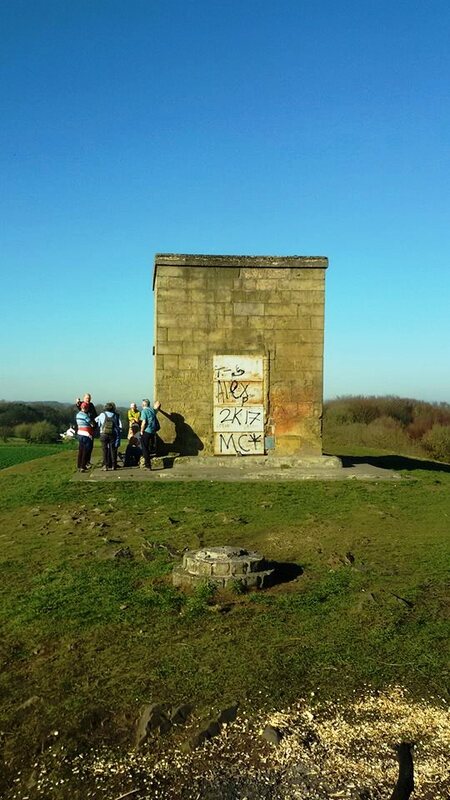 It was a pleasant walk up under clear blue sky and warm sunshine as the unseasonably high temperatures persisted. 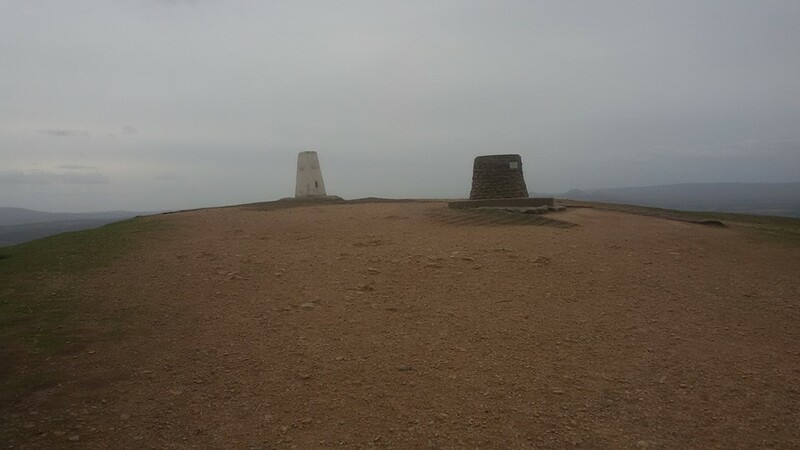 I operated leaning against the trig point. 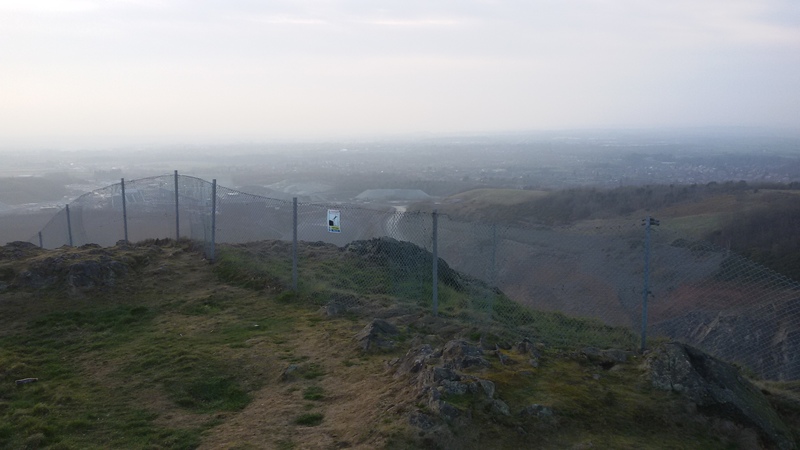 The summit felt like it was even bigger than previously, with the surrounding quarry seemingly deepening with every visit! Four QSOs, all 2m FM, then back down and onwards to Oakham. This was a dep gig with a bunch of guys I’d never met before, but a great band and top musicians. Great fun - but after 5am by the time I got home! 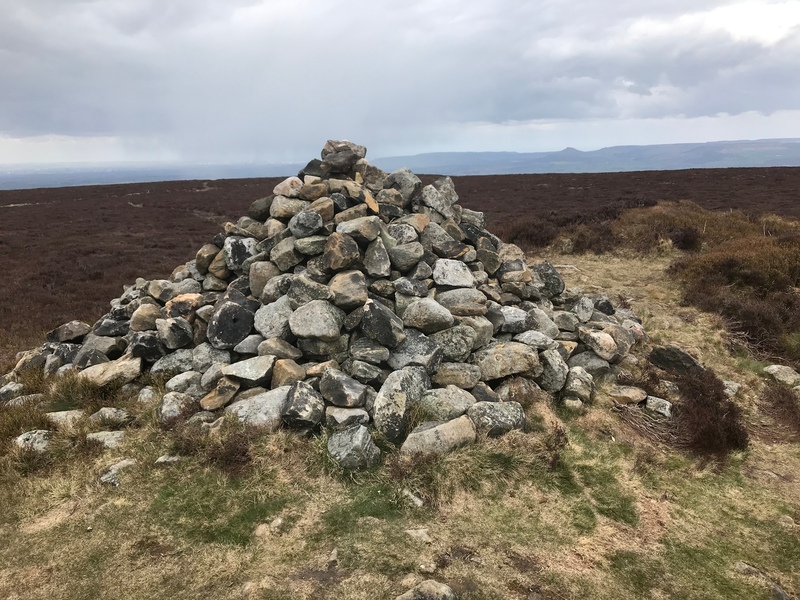 Easington Fell G/SP-012 might normally be the obvious SOTA to bag en route to this one, but Marianne was cooking roast beef Sunday dinner, to be served at 4pm. I couldn’t miss that! So I nipped out mid-afternoon while she was busy in the kitchen for a rapid activation of the usual. On another glorious and amazingly mild day, it was no surprise that plenty were out on the hills. There was even a bit of enhancement too, and I received something French on my handheld as I scanned through the 145.350MHz FM frequency. So, just lolloped against the topograph with my Yaesu FT-70D handheld, I made nine QSOs on 2m FM. 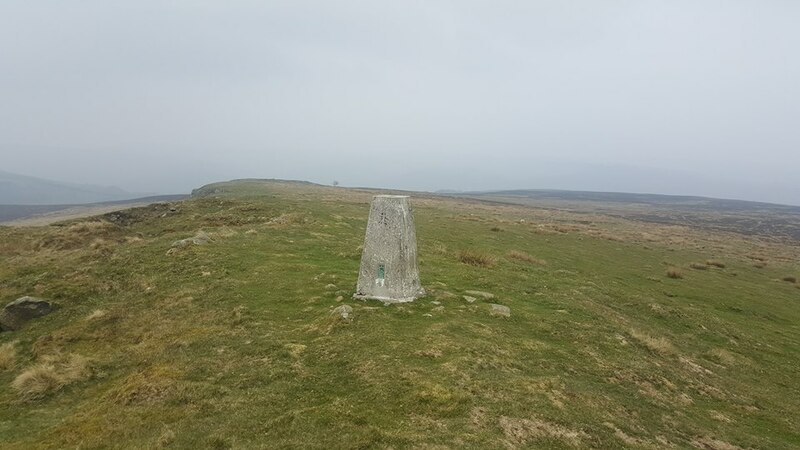 This included two S2S - Mike GW7HEM/P on Y Garn GW/NW-004, and Viki MW6BWA/P on Fan Nedd GW/SW-007. As long as Free and Easy doesn’t clash with Quiz Night you’ll be sound. I hadn’t anticipated a gig. In fact I’d got up with my alarm at 0630 ad sat by the phone with a mug of coffee and a couple of boiled eggs (with soldiers of course) waiting for the supply teaching agencies to ring. Rather unusually, on this occasion they did not. My SOTA brain turned to that afternoon and evening. 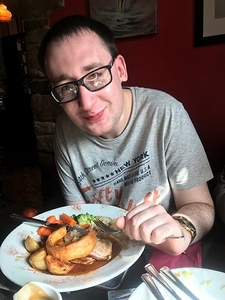 Marianne would be out at work on a late shift, and Liam had afternoon and evening social activities sandwiched around his singing lesson - and would be requiring transport from me. So I was starting to think of what order I would do Gun G/SP-013 and The Cloud G/SP-015 in, and what bands and modes I would deploy. But just after lunch, the phone did ring. 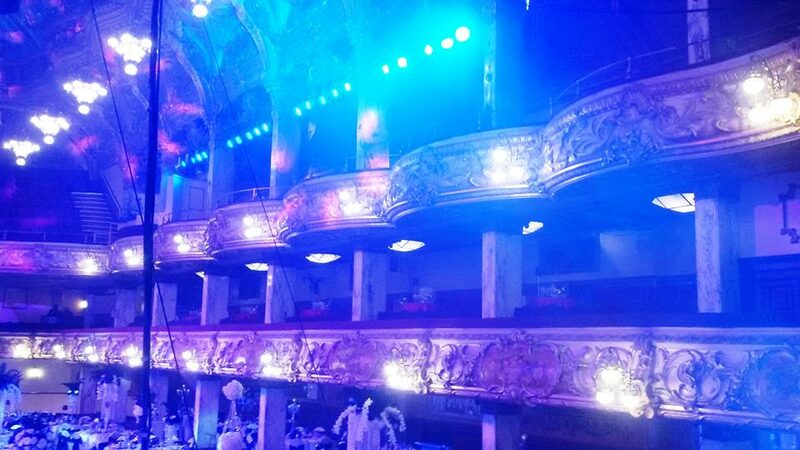 Out of the blue, it was a bandleader needing a bass player at Blackpool Tower Ballroom that evening, soundcheck at 1730. I was on the point of resigning myself to turning it down due to my commitments to Liam - but he (and Marianne) had other ideas, and rather fancied the idea of a run out to Blackpool on a lovely sunny day - and to be fair, neither of them wanted me to pass up a good gig in an iconic venue. The necessary phone calls were made accepting the booking and sorting out all the other arrangements, and soon Liam and I were on the road. 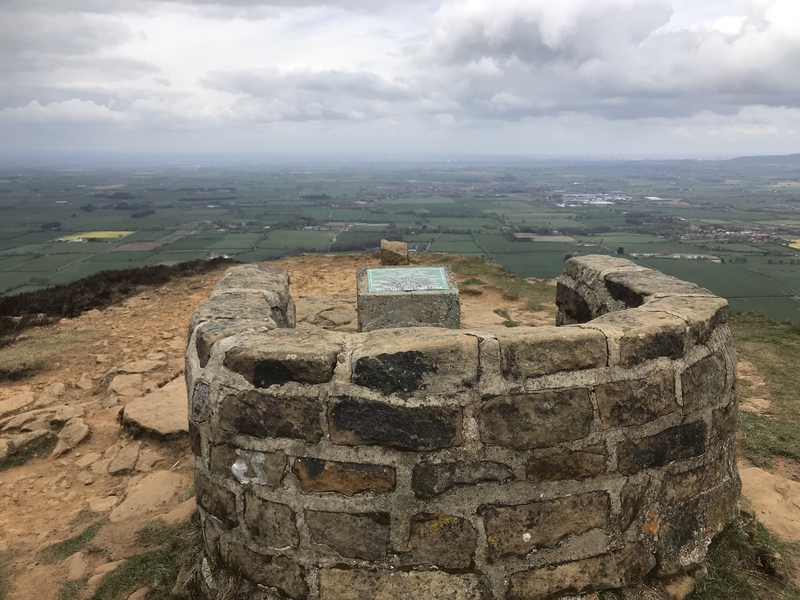 Billinge Hill G/SP-017 was selected as the en route SOTA stop. There was already a car in my usual parking space just off Crank Road, so I pulled my motor tight in at the end of the access road to Beacon Farm. 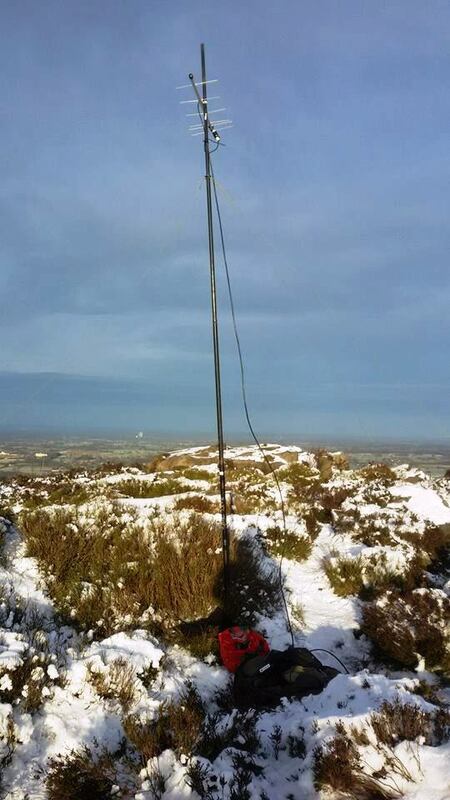 Liam remained in the car, with the mobile rig monitoring 145.400MHz FM, where I anticipated operating. 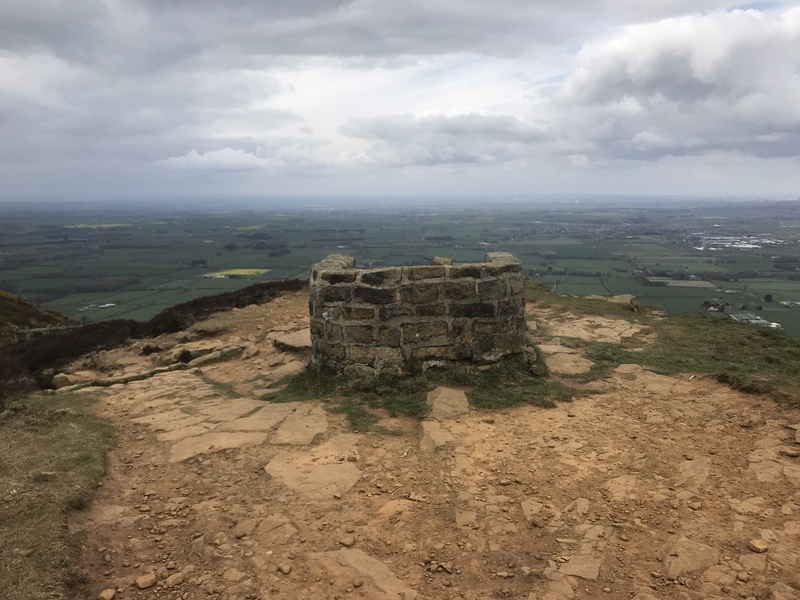 A brisk walk brought me to a very busy summit, where a chap appeared to be lecturing a large group about local bee colonies. 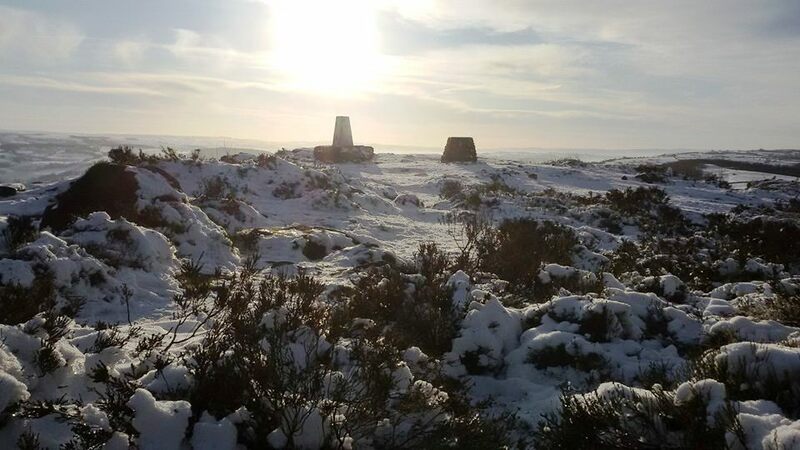 I moved over to the trig point and began calling on 2m FM with the HT. While motoring along the M55 towards the Fylde coast, I received strong transmissions on 2m FM from Ian GW8OGI/P on Tal y Fan GW/NW-040. It was good to grab a chaser contact and quick natter with him, and good to have Liam in the passenger seat to add the notes to my logbook as I was driving. 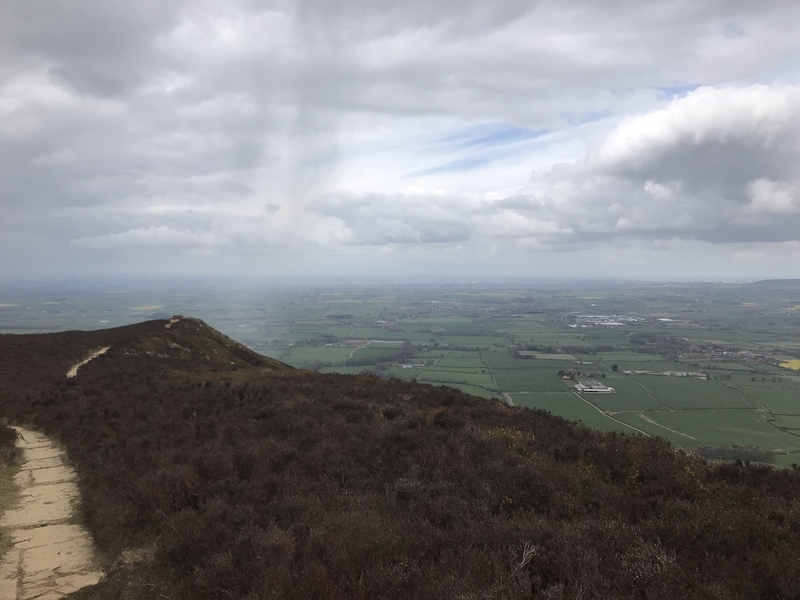 Just six minutes operating resulted in seven QSOs - and an actual point, what with this being my first visit to Billinge Hill in 2019. I returned to the car, and Liam reported that he had indeed been able to monitor my entire activation. 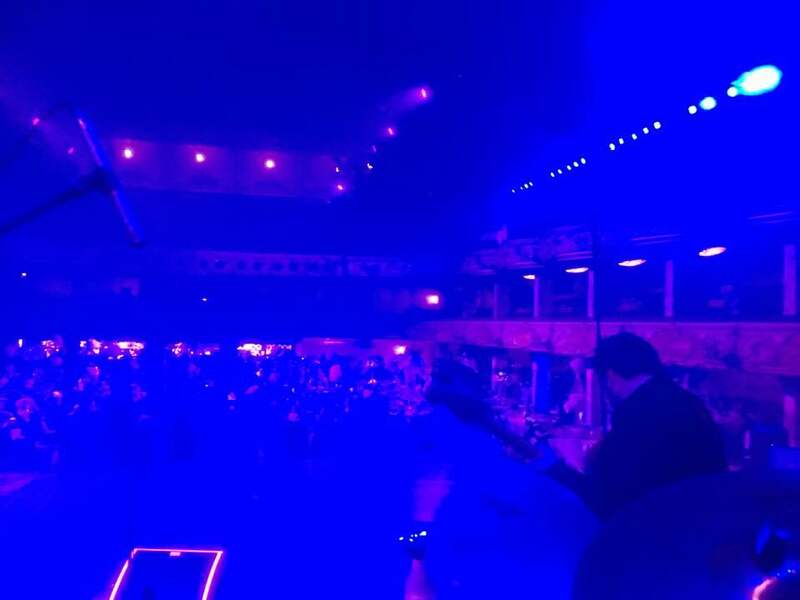 Next stop was Blackpool Tower, and Liam kindly loaded all my gear in for me, through security doors, up a goods lift, along corridors and onto the stage in the iconic Tower Ballroom, all while I searched for parking. I first tried the nearby pay-and-display - then I realised that was going to cost me a tenner. I ended up with some back street parking between South Pier and Central Pier - a twenty minute walk away from the venue. Of course, during that twenty minute walk, I did walk past loads of more viable free parking options! 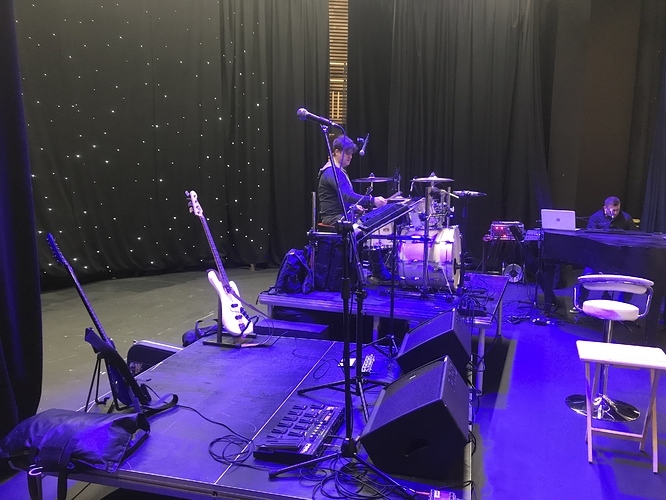 After setting up and soundchecking, we were served a hot meal in our dressing room, but there was then still 90 minutes before we would be on stage. Liam and I walked back up to the car and brought it down to the nearer parking place. I did much much more walking sorting out my parking in the streets of Blackpool than I did earlier going up and down a SOTA hill! 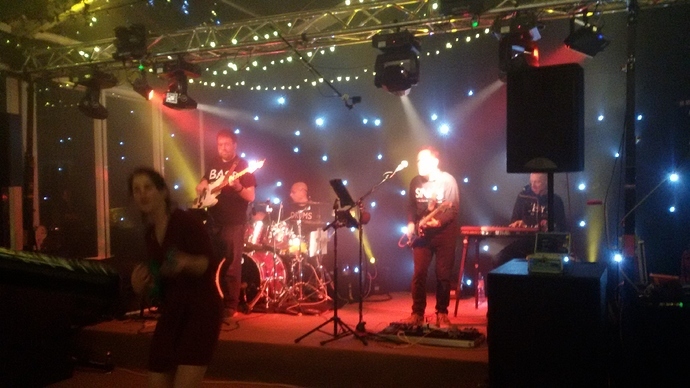 The extended “quiet time” for gigging has extended an extra month due to some March dates being rescheduled to later in the year to allow Joe Longthorne more time to get over a recent illness. The tour should kick in now at the end of the month. So, since the last gig in this thread, I have been mainly supply teaching in local schools, apart from a midweek gig with my son Liam. I was pleased therefore to get a callback as a dep with the Simon Faulkner Band. When I looked at where the venue was on the map, it was tempting to head out early and bag the “Welshpool 3” of Long Mountain-Beacon Ring GW/MW-026, Moel y Golfa GW/MW-027 and Y Golfa GW/NW-061 (but sadly not Upper Park GW/MW-032…). However, I decided to be sensible, set off at lunchtime and do a straightforward single activation of The Wrekin G/WB-010. It was very windy as I reached the busy parking spot, so I abandoned any thoughts of playing with my 30m groundplane antenna, and just went for a pack-free walk with my handheld, up to the summit. 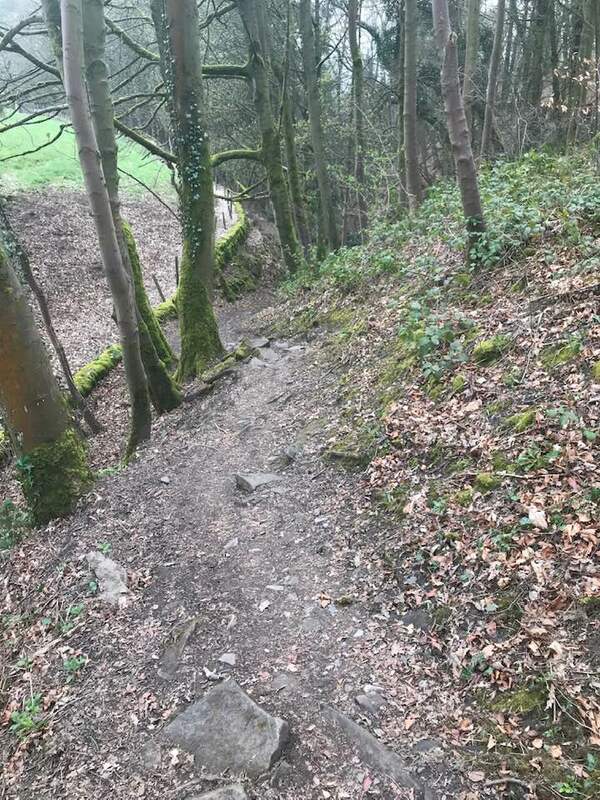 I was disciplined enough to stick to the main winding track, avoiding the temptation to head directly up the hillside to the back of the “Cafe In The Woods”. 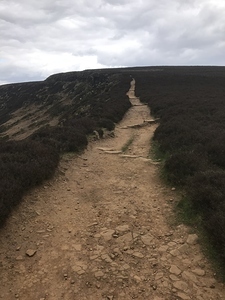 This would cut the corner, and is an established route on the ground, but is steep, and would have been very slippery. I didn’t exactly feel full of energy, so it was a bit of a slog, but rewarded with the excellent views on the final approach to the trig point. Just using the Yaesu FT70D handheld, I made 14 QSOs, fairly quickly, all 2m FM. 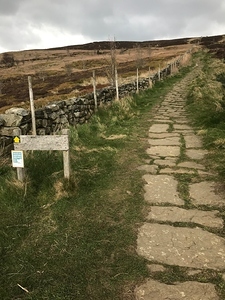 Care was needed on the descent, as much of the path was muddy, even on the main track. 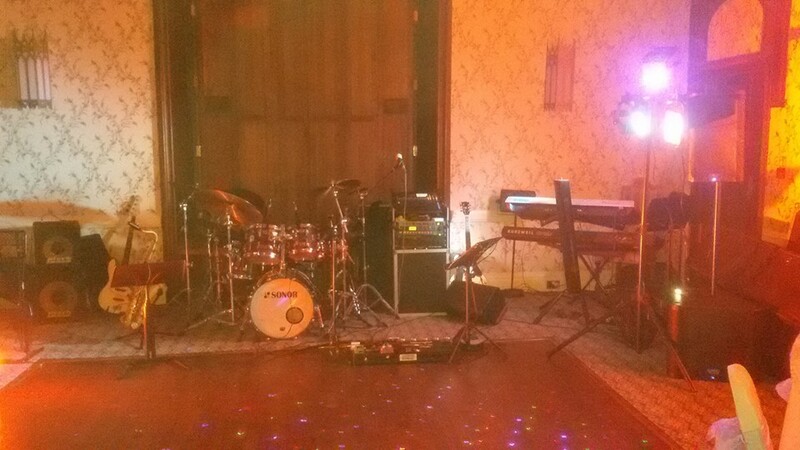 The wedding gig was supposed to be 7.30 to 9.45pm, but like most weddding gigs, things were running very late. I was still driving away and on my way home before midnight though, which is still early for most wedding gigs! 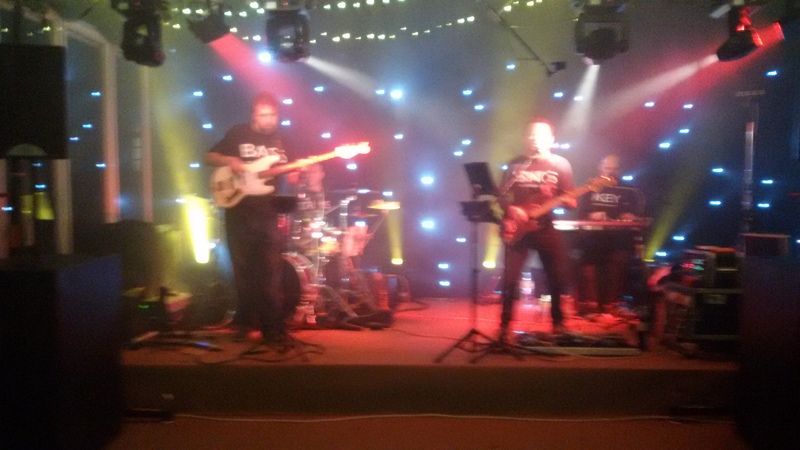 Nice gig with a very good five-piece band too, and some unfamiliar (to me) tunes, so some sight-reading necessary! I submitted to tiredness just after Nantwich and pulled into a layby for a snooze. That’s why I always carry a couple of pillows in my car! 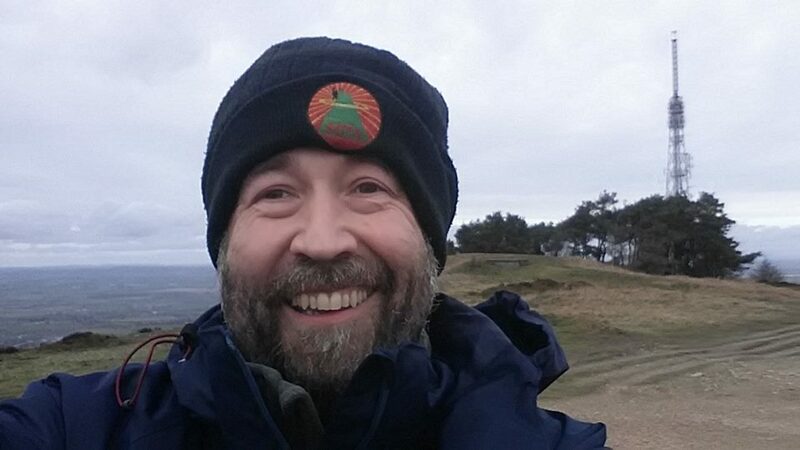 Having got all the (very) North East GW summits done in the seasonal bonus period, and Raw Head G/SP-016 long since relegated from the SOTA scheme and no longer available to activate, it was, again, an unimaginative raid on The Cloud before heading out to the Wirral Peninsula. Another lovely day, albeit a bit nippy. Four x 2m FM QSOs including S2S with Jordan MW3TMX/P on Tal y Fan GW/NW-040. 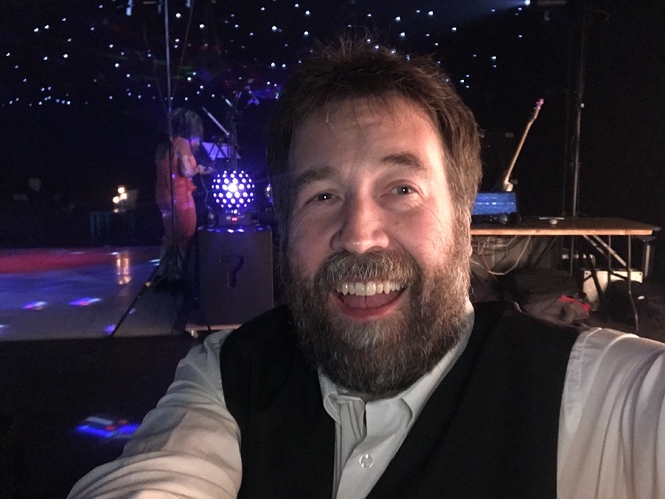 Now off to my gig, and good luck to Liam tonight in the final of the Macclesfield karaoke competition (as mentioned in a previous activation report). “'Til we have built Jerusalem, and made it look like Milton Keynes” - Spitting Image. After failing to make the planned early get-up for the DX S2S SOTA event, I spent the Saturday morning working on my website. 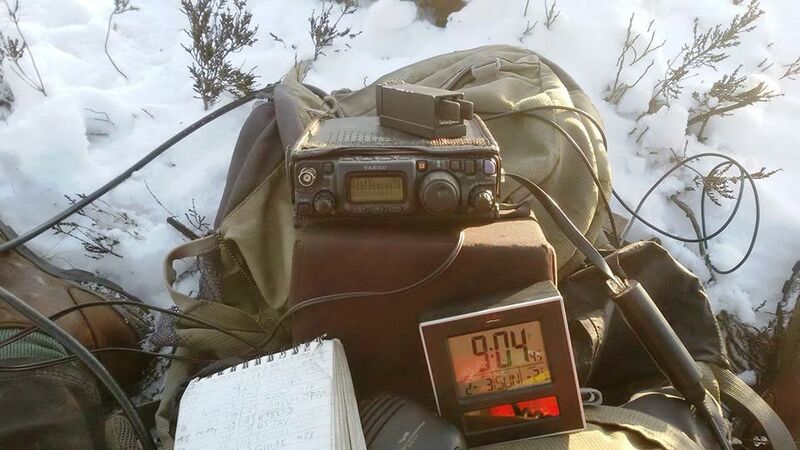 With a couple of errands to run in town, time soon ebbed away, and I was left with another 2m FM handheld raid on my local summit as the only feasible possibility of getting a SOTA activation in before the gig. Four QSOs were made, then no further callers. I got on the road to Milton Keynes and checked into my digs in time to watch the Grand National on the telly. 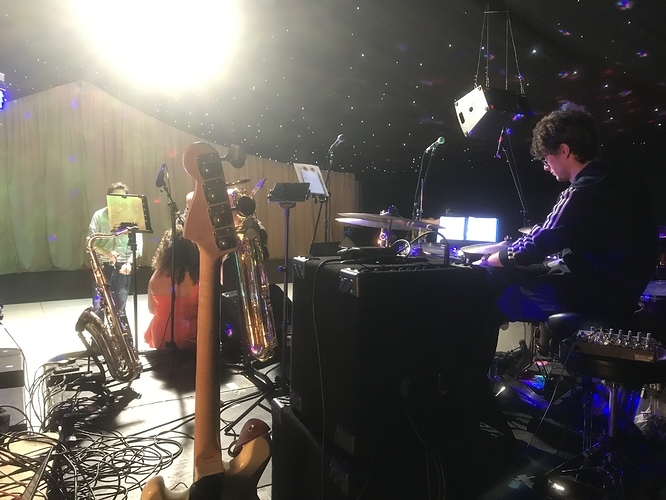 By the time the gig had finished, and we were fully loaded out (a tedious and lengthy operation back-and-forth across a large pedestrianised square in Central MK), it was approaching 3am BST. 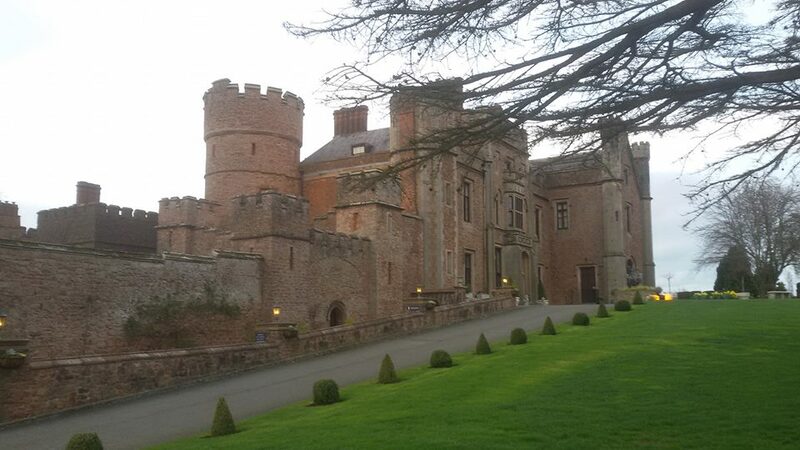 Fortunately, my digs were only five minutes away, so I could get my head down in a comfy bed. 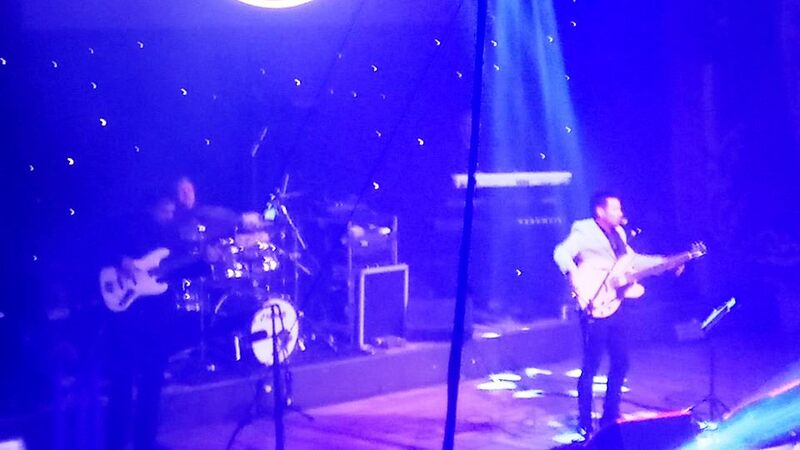 Two of the other guys in the band were contemplating a night sleeping in a van! I only slept for five hours before waking up, but the sleep quality had been excellent and I felt great. Wendover Woods wasn’t quite as nearby as I’d have liked, but I was near enough to it not to be able to resist bagging it while in the vicinity! As usual, I ignored the road entrance into the Forestry Commission estate, but drove up onto Aston Hill. 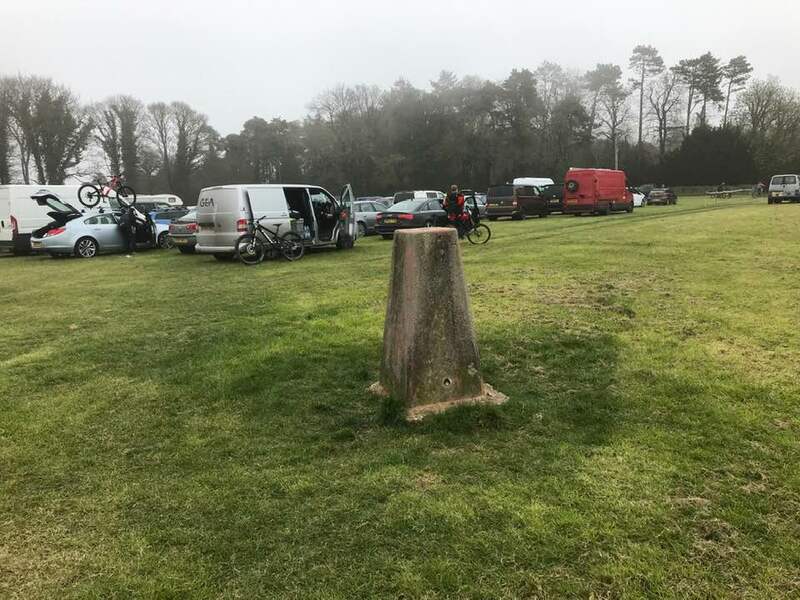 The gateway where I often park my car was not available, as the gate was open to let cars in to park on Aston Hill - quite close to the trig point - for a cycling event. The grass verges nearby were all coned off too. I decided to drive in, pretend I was a spectator for the cycling event and pay the £2 for spectator parking. The marshall looked surprised when I then headed off with my rucksack to a far corner of the field in the direction of the true summit on Haddington Hill! He later came over to enquire what was going on - and was very positively interested when I told him. 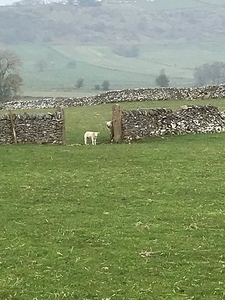 I decided to just do a short activation, as I knew the family were meeting for Sunday lunch in Foolow, near Eyam, Derbyshire, then going for a long circular walk. If I didn’t hang around too long in the Chilterns, I could rendezvous with them for that. Hence I stuck to just 30m FT8 and worked seven QSOs. 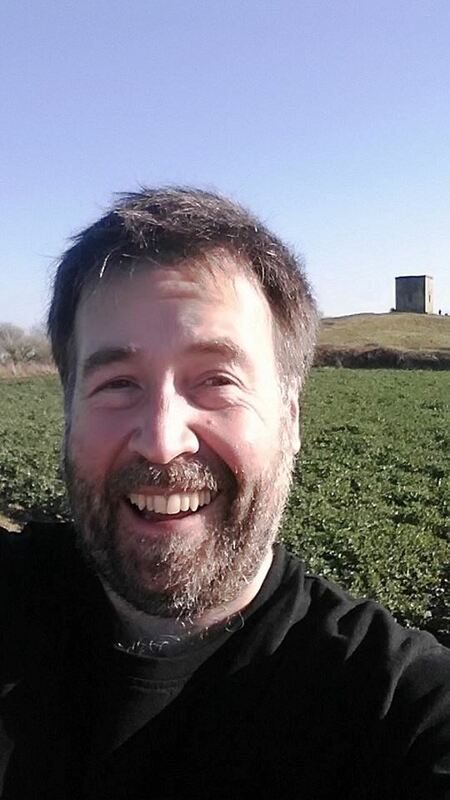 The penultimate of these was the most satisfying - US SOTA activator and chaser Paul KB9ILT. 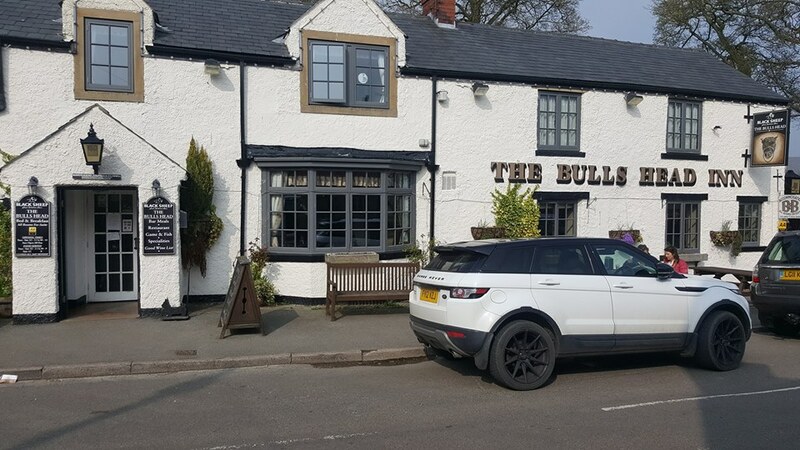 I managed to get to the Bull’s Head at Foolow in time for a FB roast beef & Yorkshire pudding dinner, and pint of real ale. We then climbed up the road to Bretton, then walked along the ridge to Sir William Hill. 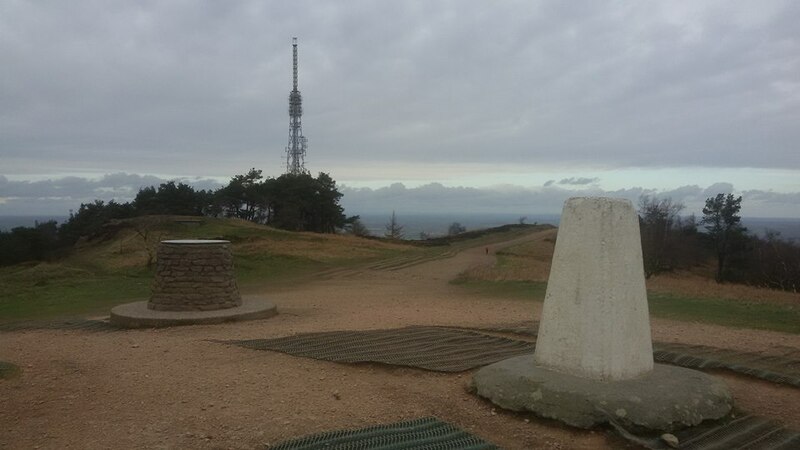 This is a HEMA summit, G/HSP-024, and I walked up to the trig point with my handheld. Four QSOs were made on 2m FM. 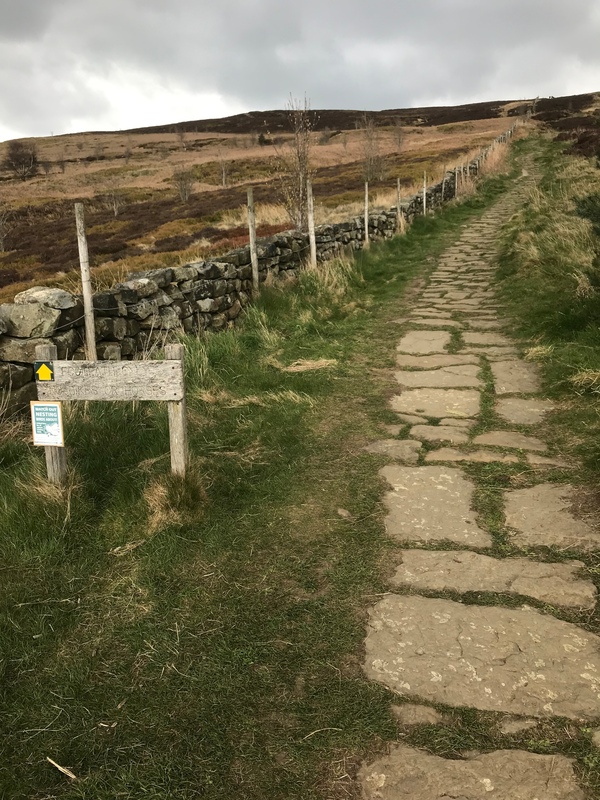 We then followed the byway and road to Mompesson’s Well from the Plague era, then I found a great path down to the village of Eyam. 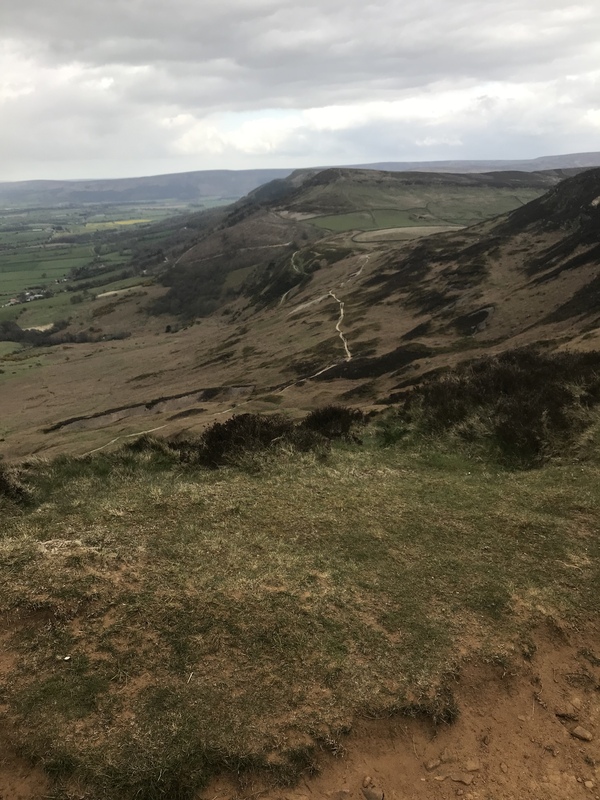 A swift pint in the Miners Arms, then back up the roads to the cars at Foolow - a circular walk of around 15km. So it’s my youngest son’s gig tonight, but I’m on Dad’s Taxi duties, plus jamming in with a bit of bass guitar as and when required! I spent the day on supply, teaching history at a school in Chell, a northern suburb of Stoke-on-Trent. Disturbingly, one of the rooms there had a sign on the door stating “Big Brother Diary Room”. Reassuringly, lunch was a superb roast gammon dinner followed by treacle sponge pudding and custard. I also popped into the science prep room to catch up with Leigh M5GWH who works there. We had a pleasant chat and catch-up. So, like the old days, an activation of The Cloud on the way home. At the parking spot, I met, for the first time, Graham G6TDJ. Strange, as he lives about half a mile from me in Macclesfield! 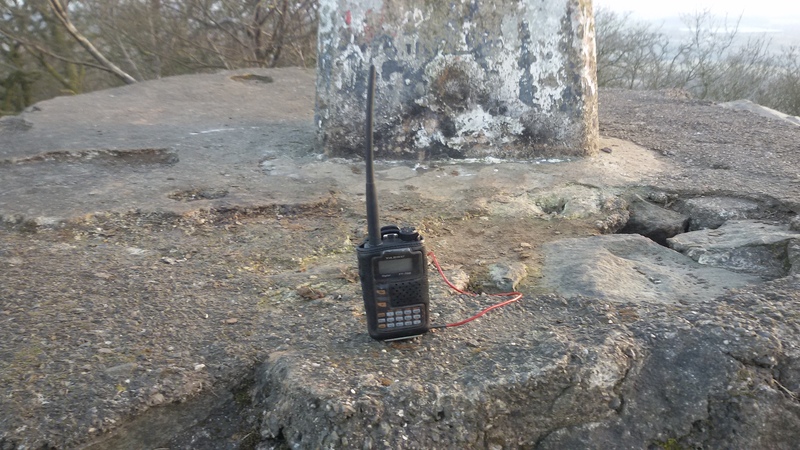 He had just been to the summit, but not with a radio. Naturally, I tried my best to advertise SOTA to him! It was a weird activation. The weather looked stunning. It felt cold! I just took my VHF handheld. I called and called, but no takers, either on analogue FM or digital fusion. I was getting cold - and a bit fed up. The Graham G6TDJ/M who I’d met earlier answered. He was now driving in Macclesfield, and we ended up having a lengthy ragchew. It wasn’t as though I was keeping a large pile-up waiting! Then I called and called again. Nothing - for ages - then eventually Dave M0FAZ/M called in. We too then had a long ragchew, covering all matters from the previous night’s 70cm FMAC through to spectator behaviour at junior football matches! So it was a strange activation. Just two contacts, two long ragchews, lovely-looking but uncomfortable-feeling weather. But a SOTA activation nonetheless. OK, time to go and make some noise! The 2019 Joe Tour starts tonight, and just up the road in Stockport. I’ll be venturing out a bit further - and hopefully bagging some points-scoring activations in the next couple of days. 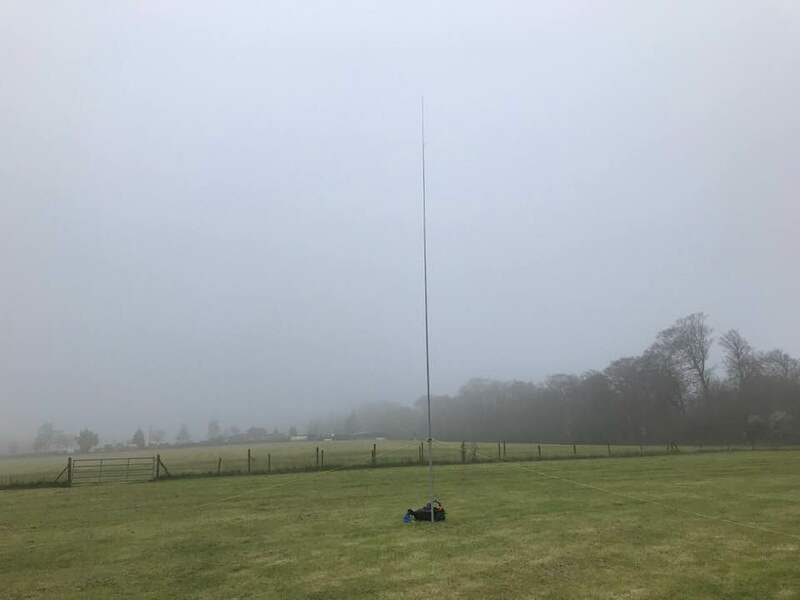 But today it was (another) return to The Cloud with my current “pride and joy” (my homemade 30m GP antenna) for some FT8 and CW. The band was pretty uninteresting with just Central European stations, though that did mean a good number of known SOTA chasers in my log, both on FT8 and CW. After I made 9 QSOs on 30m FT8, I thought it would be interesting to see how quickly 9 would come on CW. Well 9 on FT8 took me 32 minutes, with the same number of contacts on 30m CW taking 8 minutes - exactly a quarter of the time. Datamodes certainly aren’t for anyone in a rush! Catching up on Tour 3 Tom - ROTFL at the YouTube Spitting Image clip. The show was always on ITV at a bad time for me, as I used to play in a darts team on the night it was shown. outrageous, funny and satirical TV puppet show featuring rubber creations of prominent people, such as UK Royalty, Politicians and Entertainers (like Tom!). It ran in the 1980s and 1990s and was satire and black comedy all rolled into one. . Right up to the last minute, I considered a wide detour to take in the Welshpool summits, or the Craven Arms summits, but ultimately I decided that amount of additional time and mileage was not really justifiable. I was going to do 30m FT8 on Gun, but it was rather windy at the parking spot - and still unfathomably cold for April. No wonder Easter has been put back so late this year! 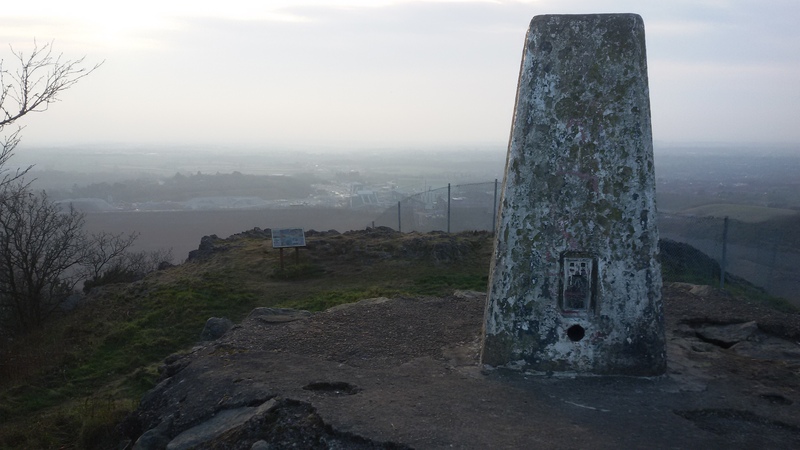 So just a walk up to the trig with my FT70D, and 4 QSOs made, including S2H with Rob G7LAS/P on HSP-006 - Bolehill. 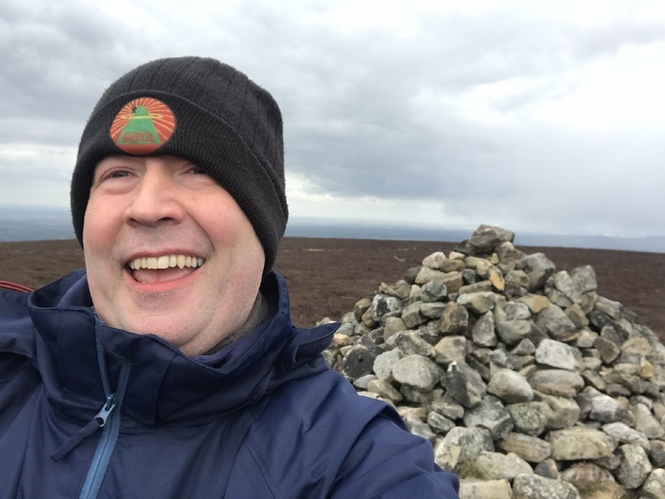 The contact ended abruptly when I asked if I may be allowed to enter my activation log of HEMA summit Sir William Hill from the previous weekend! An SWL log was recorded for MW1CJE/P on GW/MW-007 - I tried a few times to call in, but he wasn’t hearing my handheld & rubber duck! 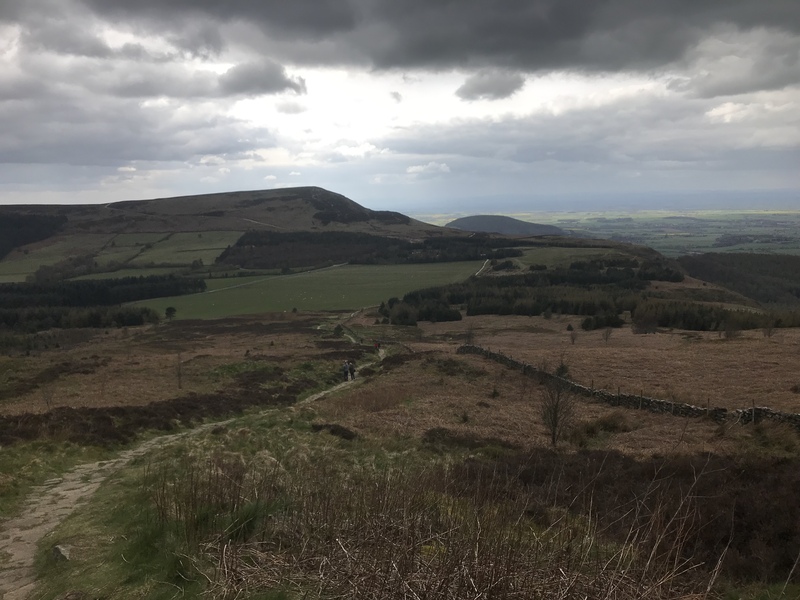 Going 2m FM handie-style meant that I now had a bit of spare time - enough to pop across the Dane Valley and also activate The Cloud before going home. 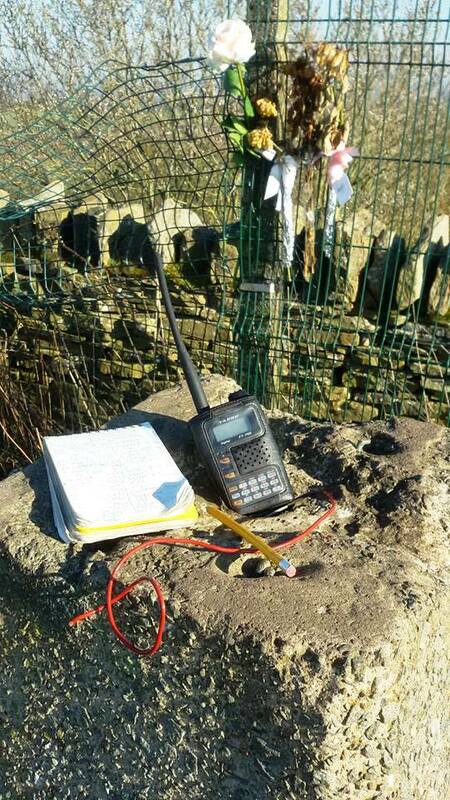 Six QSOs were made on this one, including S2S with GW7HEM/P on GW/NW-028. A couple of other stations were operating portable on Ashurst Beacon. I’m unsure whether that has a reference in any scheme, but in any case, they were using a generator so it probably wouldn’t count anyway. Picked up pudding & chips x3 for lunch for the lads and myself, before heading down to Walsall for the gig. 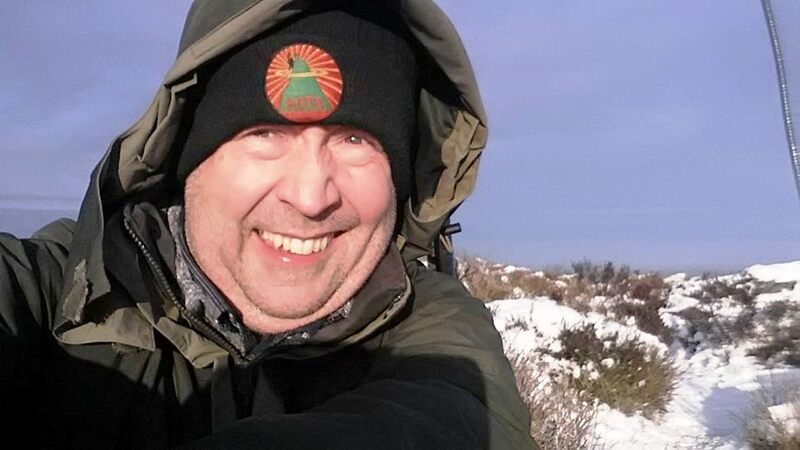 Btw Phil @G4OBK - we’re in Stockton-on-Tees tonight, so I’ll be QRV /M probably in range of you later - and likely activating something in G/TW if you fancy meeting up. We just got back in from walking with our club on the Wolds around Wetwang, just off the A166 and not far from TW-004. I see your on the air now, switch the radio on!!! Good fish and chips in Wetwang. I concurr Steve. Now called Deep Blue - they did very well out of our walking group today. They still cook in Beef Dripping and you can tell, really freshly fried and straight out of the frier and eaten outside alongside the bikers. The only thing missing was the old newspaper to wrap them in…blooming elf & safetly stopped it. Andy - Tom had to head back down and drive to Stockton for the sound check for his Joe Longthorne gig tonight, so guess he went off air just before you came on the radio. We were cjhatting for about 15 mins from 14:14z-1430z. PS Steve - I like the greasy spoon cafe in Fridaythorpe (A166) also. No nonsense grub served all day. 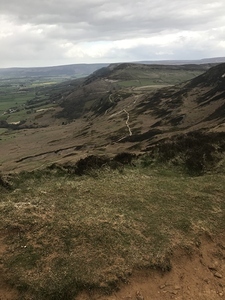 Choice of summit dictated by gig location again. Nice steak and ale pie at the Lord’s Stones Cafe before the walk up. Rather cold and windy at the car park so I elected to go up just with the handheld. Very pleasant activation. Just five QSOs but each one a lengthy and enjoyable ragchew. 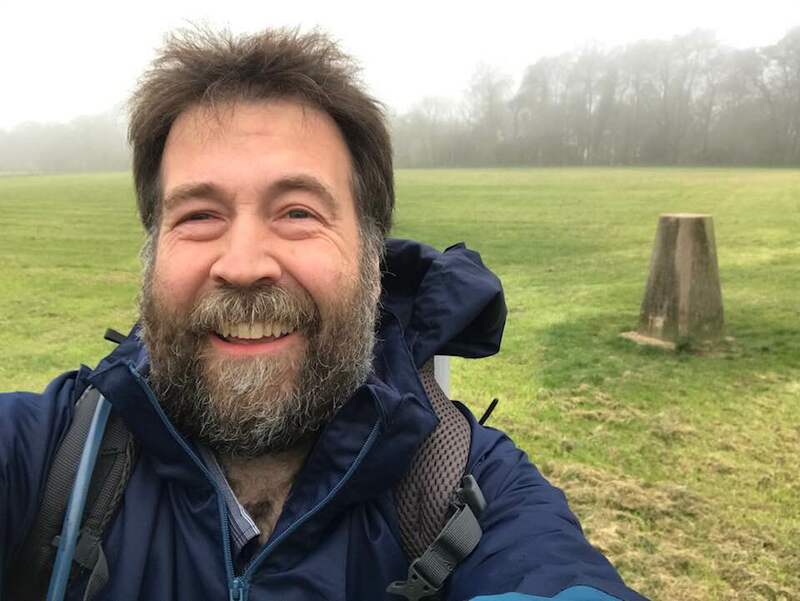 Of course, my favourite of these was the last one - with SOTA friend and leading activator/chaser Phil G4OBK - no less than 16 minutes in QSO! 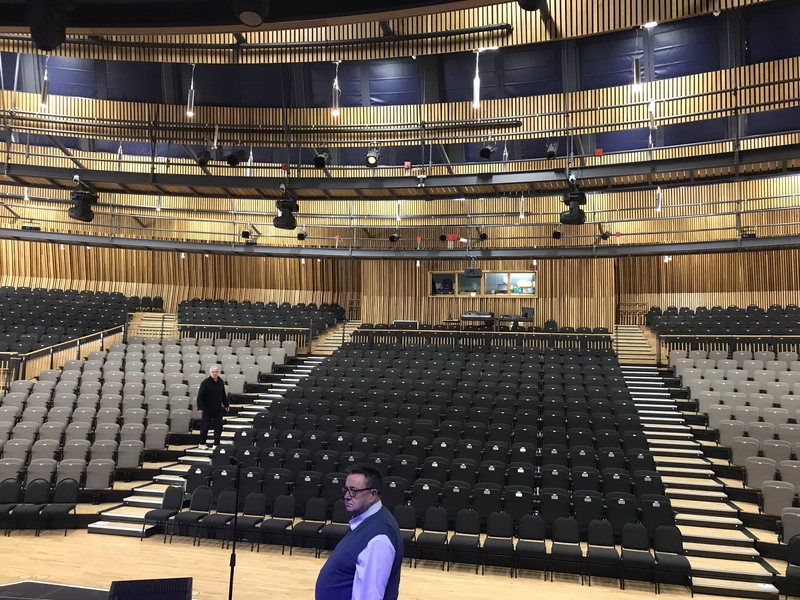 Then an easy half hour drive up to Yarm, and a spectacular auditorium set in the grounds of a private school. 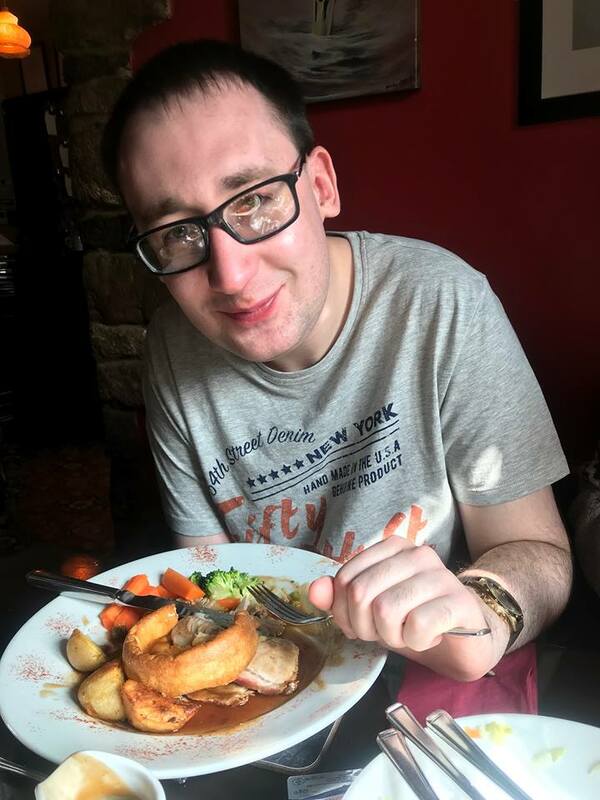 We had a band Sunday roast dinner at the Ketton Ox pub, then a swift one in the Black Bull. I’ll be QRV on 2m FM for the drive home, commencing around 9.30pm BST.